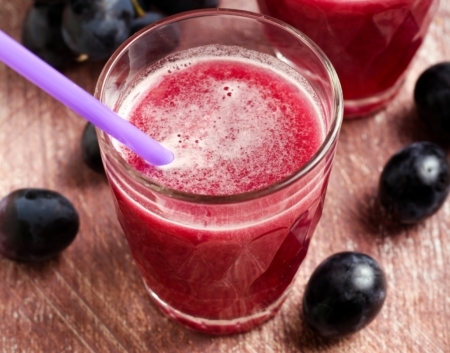 Grape juice can easily be made at home in a blender. Try this fresh version and you’ll never go back to drinking grape juice bought in a jar from the supermarket. Put the grapes in the blender with the water. Blend on high at least 1 minute. Strain the mixture through a fine-mesh sieve over a large bowl, pressing the mixture down with a large spoon until all of the juice is extracted. Drink right away and put the rest in covered jars in the refrigerator. I have just found out that I have stage 3 kidneys disease. What can I eat and drink that will cure or improve for a healthy kidneys?